… and letting you do the talking! I really wanted to spend some time telling you about the new BB Creams I’ve been trying. I know right? PB? BB Creams? Gotta be joking! But yes, I’ve been trying out a few BB Creams from MAC, Dior and Sunplay <- one of this things just don’t belong here… 😉 but have just been too exhausted to come up with a coherent post. Rather than let you read something incoherent, I’ll defer it but I’ll bring it soon, promise. So instead of pushing it and imploding, I decided to mellow down and open up a MWS Open Cafe session 🙂 Come on in ladies and let us have a chit-chat and get to know one another. Are you new here? Pipe up and introduce yourself! If you’ve never left a comment, now’s a good time because the comment box is open to pretty much anything – just keep it clean and family friendly. Previous Open Cafe sessions have always been tons of fun. I love reading your random comments in the giveaway posts but I can’t reply there so here’s your chance to be random AND get a reply. Oh you’re going to do great! If nothing else, you’d look good during your presentation 😀 Come back and tell us how it went later – I’m not one for public speaking myself too and I always get the butterflies. I don’t know about great but I survived it even with ALL the questions tossed my way. People seem to think I enjoy public speaking but they didn’t see the shaking knees. 4pm now and I think my weekend should begin NOW! Holding onto something or having a chair behind for support can help with shaky legs 😉 Yes you’ve earned you weekend! Go! Shoo! i got a meeting invite at 5pm today, is this a joke or what? Can’t wait to read your thoughts on the MAC BB Cream. I didn’t get it because most reviewers i’ve came across are quite nonchalant about it! Thank you Jenn! I have something going out in the mail for you. No, I didn’t forget 🙂 And yes I’m headed for a little break I’d forgotten about so that’s a nice thing to look forward to! The MAC BB Cream isn’t bad, much to my surprise. Its got pink tones which suit me, and with a light dusting of loose powder over it, I’m pretty much set for the day! Its only available at duty free though. Pardon me while I rant, I’m also feeling under the weather, am recovering from pneumonia and stuck at home feeling sorry for myself. I want to go back to my normal routine. I miss my makeup too. I want to put on makeup! My lips are a mess, I want to be better. Do you put on makeup when you are sick? Thanks Paris! Ha the best part is being sick hasn’t stopped me from online shopping. I have over SGD$300 worth of makeup coming my soon! Something to cheer me up. My haul so far, some Ellis Faas products, two cream eye shadows and a cream blush. From Nordstrom, I took advantage of the Lancome gift with purchase, bought myself two Rouge Abosolu Creme Brilliance lipglosses in Exotic Orchid and Rose Mythique. Hate shopping for Lancome is Singapore because all colours come in numbers except for names. Le Metier De Beute cream blush in Poppy and Giorgio Armani Lasting Silk Foundation in 5.5. I must hide all my purchases from DH when they come! Oh my! That’s an amazing haul! I have Exotic Orchid incidentally and I absolutely love it! I think you will too 😀 Does Nordstrom ship internationally? I wasn’t aware of that – or did you make use of one of those shipping forwarders? I use a shipping forwarder, vpost singapore. They do ship internationally now but the shipping is exorbitant. I love Nordstrom, best place to get cheaper MAC and Kiehl’s. When they have great gifts with purchases especially from Lancome it is hard not to indulge. Currently you can get USD$130 worth of lancome samples if you spend about USD$40. Great deal huh? I’m basically walking to my mailbox everyday to see if my Ellis Faas stuff has arrived. I’m very excited about them and want to play with them as soon as I can. i am chilling out at a kopitiam while waiting for my 10am meeting around damansara perdana. rasa macam tak mau masuk ofis langsung today. no mood at all. hi. i’m new here but already commented on some of your posts and i have read a lot of your posts already, blog reading has been my morning routine….just wanna ask coz i just started using an eye cream but i stopped it because i noticed a small white bump appeared (looks like milia), are there other alternatives i can use? do you think that white bump will still disappear? my, i am now scared to try other eye creams because it might end up doing the same for me, i don’t want to have many of that white bumps! thing is, the other products of that brand works for me, it’s just the eye cream that I had a reaction… how can I test other eye creams before i put it around my eyes? 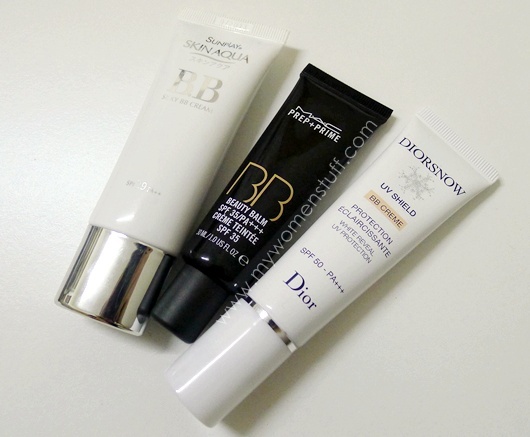 cooool, me saw the dior bb cream too, but it is an awful pwice for 30ml. ack. and yea, just an update, i quit me job and am now studying my masters. hope u can get a good rest paris!! sigh i bought a Porsche design wallet for my ex. stupid right. 480 sing. bleh. for me i barely bought anything, just a bb cream which i now hate because there’s no coverage and hardly any evening of skintone, but then again u know i dont really know how to apply bb cream. i loved the texture and the color of the dior bb cream tho, perfect match to me. i also bought an ‘acerola’ moisturiser, trying it on today!! and thats almost all i bought. stupid wallet. i also ate around 300 bucks of ccheap sing food in just 2 and a half days, so i guess im gonna be DARN FAT when i come back. Hi PB, did you like the Dior BB creme? I tried a sample and had placed my order because it sold out at the counter i usually purchase from. Texture was a bit thick and am not sure about the colour, but once applied i thought it looked alright after a while…. Hope you feel better soon, have a great weekend! I’m stuck at home this weekend…. :'( I have a 1250 word essay and 2 presentations for the next week. So now Cheng Meng in Batu Pahat for me. Usually, yeah. But I miss out on my dad’s hometown’s food!! And well, the company of my family and stuff like that. >.< I don't really like going to Cheng Meng in Batu Pahat, but Ipoh, is another story. My grandfather's ashes are in Perak Cave so it's cooling there! Ah yes, nothing beats the food in the hometowns! The one thing I remember most from Batu Pahat is Briyani Gam and Sup Kambing (goat soup for the uninitiated) but I haven’t been there in years! You mean the teochew type fishball mee? Ooh yeah! We don’t get that here and I miss it! I’m from the South too and I grew up with it! i am looking forward to your reviews on the BB creams though! especially the MAC one. one qns.. do you put any makeup base / moisturiser or anything before using the BB cream? most of the time i use BB cream when i am in a rush in the morning.. so i would only apply serum, eye cream followed by BB cream and loose powder..
Hye there…I like your blog..I like you commenting on the products…some of them is what I wanted to buy in near future..I am also writing but this past weeks I haven’t been writing anything….no mood…but still the rest will makes you more energized in future….waiting eagerly for a new post from you…. 2. Happiest – My dad’s graduation 😀 Big moment for us and it teaches you that you’re never too old to learn something new and have a change in career/life. Saddest – erm… when late gran passed away. I realized I didn’t spend enough time with her or learn everything I wanted from here especially her amazing sambal! Andrea said she can’t afford a lot of the products shown, me too. lols..I have same problem with Issa – Milia under my eyes..how to get it extracted? can i do it myself? no.. no scar… haha… i remove it quite long d… will it disappear itself? Must do extraction? Oh good! I’d read of people having scarring from milia removal 🙂 I don’t know if it’ll disappear – i think milia rarely does by itself. lols.. lucky mine no scar… guess will need to go facial and ask them to remove it.. thanks!! hi angel, how did you remove it? did you use any tool? me too, can’t afford the products especially here in the phils, way too expensive! i’m really sad about that milia thing, because i don’t have this before. good thing only 1 appeared and i stopped using the eye cream immediately! now, my problem would be preventing aging around the eyes because now i am really scared to try out other eye creams, i don’t want another one appearing under my eyes…. huhuhu…. Try to get a sample of the Estee Lauder Advanced Night Repair serum. I personally like it very much. Unfortunately I won’t be able to tell you if it’ll break you out or cause milia but its very light textured so hopefully not! hi angel! you are brave!!! i’m scared to do it by myself because it might scar! thanks stacey! 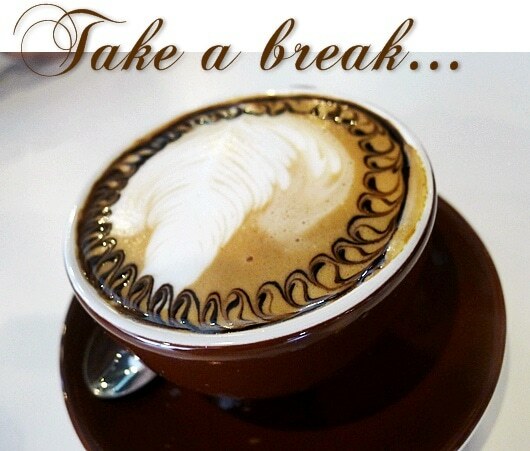 i am afraid to do the extraction too so i might just wait and see…. so what eye cream are you using now? i’m curious…. it is about a broadband service. i opted out the paper bill (save my money, save the trees) so i only get sms & email reminders. 31/3, 9am – paid via online payment, and the customer service informed that he’ll make sure i am not barred. afterall, i paid it within the 24hrs period mah..
1/4, 9am – can’t online!!! pekchek!!! Try U—-i!! It works great, apparently on high rises too! Thanks for the tip. Unfortunately I’m only going by land. =( Besides clinique anything else? butting in – take a look at Lancome too. Their palettes are quite versatile and not too pricey 🙂 I like Lunasol palettes but I’m not sure if you’d like anything that shimmery 😀 The new Lunasol palette with grey shades is gorgeous. I gotta take a picture of mine soon. Yeah I was told UD is definitely on the list coming in. I’m hoping its not too exorbitant either. It’d be a pity if it was. Thanks for the tipS! I knew this is the right place to come on things like this. Now I wonder if I should get it in Singapore or should I patiently wait for Malaysia? Will the prices be about the same? If so I might as well get it there. Ooo. Will definately try to stop by if possible. I relooked through your previous reviews on some of the brands you stated above and the Dior one is just so tempting. Easy enough for newbs like me. =) Will look out for the travel palettes! Thank you once again!